Facebook unveiled a new way to hang out with your friends without ever needing to leave your living room. The company launched Facebook Spaces at F8, the company's developer conference, on Tuesday. 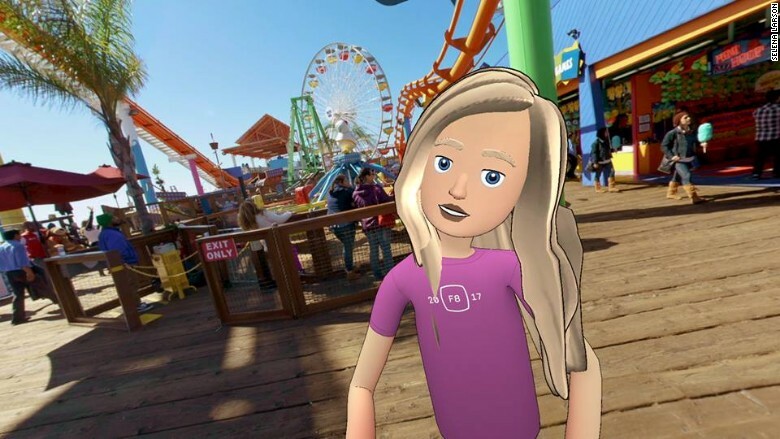 Facebook Spaces is a new virtual reality social network. You can create a custom avatar based on photos from your Facebook (FB) profile and spend time with up to three other people in a virtual space. You can take selfies, draw pictures with virtual pens and fist-bump your friends. CNNTech tested out Spaces at F8. Upon logging in, I set up my avatar, and then tried to interact with a Facebook employee (or "friend") in the virtual environment. However, Spaces didn't work as the company advertised -- while I could hear and see my friend's avatar on the screen, she wasn't moving, and I couldn't draw on the Tic-Tac-Toe game she created for us to play. One thing that did work, though, was the selfie feature. I picked up a virtual selfie stick, took a photo, and shared it to Facebook directly. You can also pull in photos from your Facebook account and enlarge them on the screen. There are also different 360-degree environments you can explore, like a boardwalk or a movie set. However, you can't walk around, since the environments, and Oculus' setup, are stationary. If your friends don't have the costly Oculus setup, you can call them from your virtual world via Messenger, and they can see everything they're missing. The new immersive VR experience is part of the company's overall goal to bring people together, but connecting via a virtual world might make us physically farther apart. 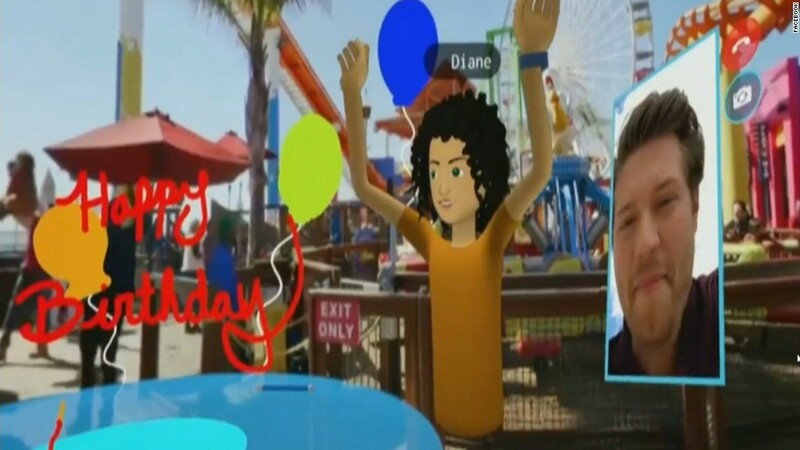 Facebook Spaces isn't the first virtual reality social network. Firms like AltSpace already host people in computerized worlds. And although they aren't lifelike quite yet, people inside these systems have experienced real-life problems. Social networks have yet to solve for things like fake news, harassment and violent threats. Now, with the addition of virtual experiences, Facebook is going to have to tackle this problem on a platform that is even more visceral. Mike Schroepfer, Facebook's CTO, told CNNTech that each avatar has a bubble of personal space around them that can only be broken by handshakes or fist-bumps if the avatar agrees. For now, only people who are friends on Facebook can interact using the app. Schroepfer says "it removes some of the badness that can happen when people are fully anonymous." Because it's still in beta, Facebook will likely (hopefully) learn from early adopters as to how to make it a safe experience. CNNTech's Heather Kelly contributed to this report.